Home » FAQ » Can I Buy The Business Back? 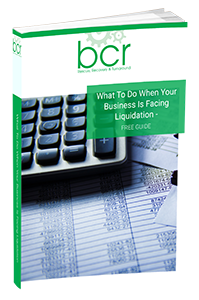 One common concern for anyone who is an owner of a business whether they can buy their business back after the liquidation or administration process? The answer is thankfully yes – you can buy the business back. The price you pay will depend on what assets there are, what you want to buy back, and whether your business entered liquidation or administration. However, the most important thing to remember is that you do have the opportunity to buy it back – meaning you can continue with the business. Some owner managers ask us: “Why do I have to buy the business back?” There are two answers to this question – firstly, you will need to buy the business back if you want to avoid it being sold to a third party or completely broken up. Secondly, it may be essential if you want to reuse the same business name at some point in the next 5 years as the Insolvency Act does not allow this, although there are a few exceptions. Please speak with a member of our team if you’d like further information on this subject, or if you have any questions about buying your business back.